SSL certificate management involves many critical steps, and mismanaging any one of them can create vulnerabilities for a Web application to exploit. In order to maintain your security, you need to avoid common SSL certificate management mistakes. 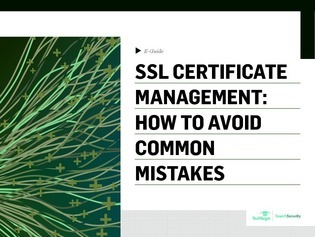 This expert e-guide describes the most common SSL certificate management mistakes and provides advice on how to avoid them. Discover how to choose the best certificates for your enterprise’s needs, manage renewal of certificates, and more.